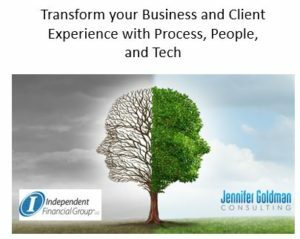 Jennifer shared the benefits and how-to’s of transforming an advisory practice into a thriving, enjoyable business with the advisory firm owners allied with IFG. Understand the roles and functions at your firm and who holds each. Then identify gaps in capacity and work overload. Determine what you want your client servicing process to be – is it infused with online portals and remote video meetings or face-to-face meetings and paper reports? If you are craving solutions and ideas to build a thriving business, SUBSCRIBE to our monthly solutions newsletter to receive tips, case studies, and more! 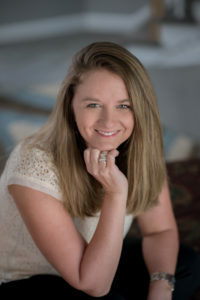 Thanks for learning how to transform your business!